The first class resorts in Ranthambore, Sawai Madhopur offer the best service and excellent hospitality to visitors at the fascinating Ranthambore National Park. Relax in spacious rooms with world-class comforts and excellent amenities to make your vacation special. Sawai Madhopur is the gateway to the most beautiful wildlife destinations in India, the Ranthambore Tiger Reserve. Nestled amidst the greenery of Aravallis, Ranthambore in Sawai Madhopur once served as a royal hunting ground. 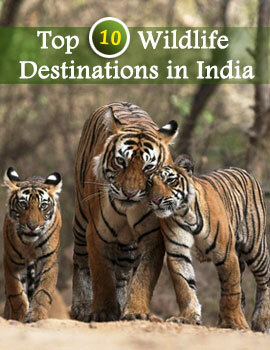 Today, it is one of the important tiger reserves of India. With a rich variety of flora and fauna and abundance of tigers, the Ranthambore National Park is a favorite destination for wildlife buffs. Plan a trip to Ranthambore in Sawai Madhopur and explore your oneness with nature. The first class resorts in Ranthambore, offer you the best of facilities and interesting packages. A perfect touch of elegance blended with comfort makes the First Class Resorts in Ranthambore Sawai Madhopur the ideal destination for tourists. So enjoy your vacation enjoying the rich wildlife of Ranthambore Sawai Madhopur and rejuvenate your senses amidst the greenery of the Aravalli Forests in this vacation.